It's time to simplify your outreach and lead management. Whether you're following up from your desk or on the go, our smart CRM technology lets you schedule, perform and log your follow up activities in mere seconds. Need a way to stay focused? 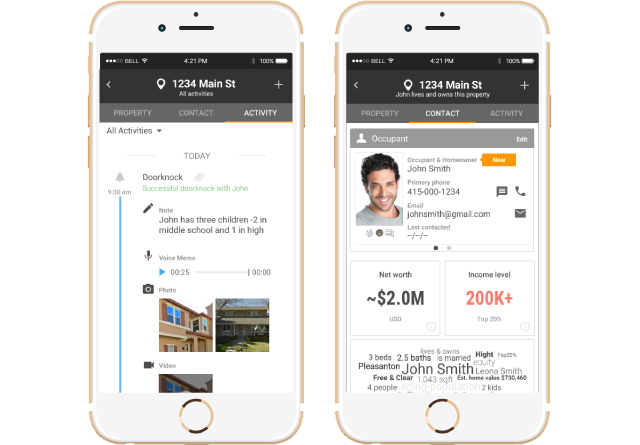 Drown out distractions by using CheckIn, a smart, mobile CRM app that powers your outreach. Follow daily actions and use deep insights to CheckIn with ease — even when you're busy. With CheckIn, you can follow up how you feel most comfortable -- and still make a big impact with your prospects and leads. CheckIn acts as a smart CRM behind the scenes, automatically logging every interaction and sync-ing it with SmartTargeting. Don't feel like calling today? That’s fine! Schedule a future CheckIn for any prospect or lead, any time. Never again wonder who you should follow up with first, and what you should say. CheckIn is a snapshot of SmartTargeting, focused just on engagement with your top prospects. Tap through dashboards to see which efforts are paying off and what you need to spend more time on. 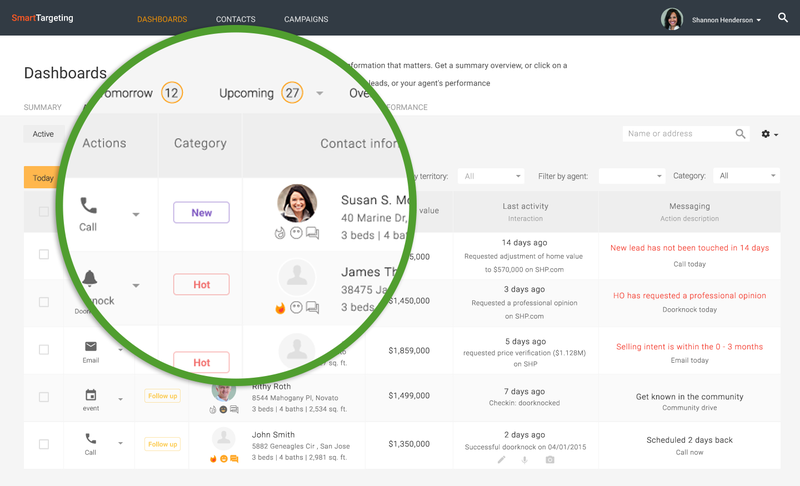 Leverage our revolutionary CRM to schedule and track actions for each contact based on their selling intent. 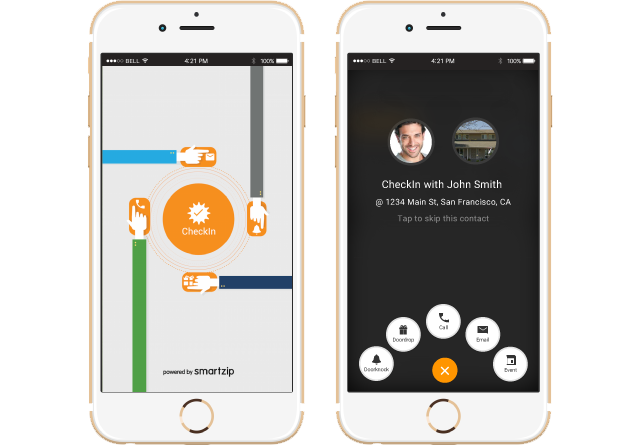 Use CheckIn to follow up via call, email, door knocking and more. Log each interaction by uploading a photo, video upload or text memo. Drown out the noise and follow your daily action board to stay organized and on track with top prospects and inbound leads. Get inbound lead notifications so you can CheckIn now, or schedule a future follow-up plan without leaving the app.